The Montessori system of education originated in 1907 with the Italian physician Dr. Maria Montessori. Maria Montessori (1870-1952) was born to a well-respected family, and was expected to grow up to fulfill the traditional role of the Italian woman. Instead, she pursued an advanced degree at the University of Rome and became the first woman physician to graduate in Italy. Her interests drew her to work with children, initially those who were disadvantaged and had special needs. Dr. Montessori’s Casa dei Bambini or House of Children, was a radical departure from traditional schools and gained immediate worldwide recognition for the Montessori system. In an environment tailored to children’s needs, with adults whose profound respect for the spiritual child and pedagogical techniques resembled guidance more than direct teaching, and an atmosphere of freedom within limits, these “disadvantaged” children flourished in their development of independence, self-discipline, social grace and cognitive accomplishment. 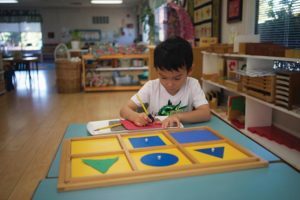 The “prepared environment” is a key principle of Montessori philosophy referring to the physical, instructional, and spiritual aspects of the classroom,the teachers and the children. Spiritual, in this sense, is a secular reference to peace of mind, enabling the teacher and student to engage in learning in a calm environment and manner. 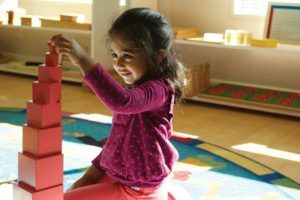 Dr. Maria Montessori’s “follow the child” philosophy is often misinterpreted to mean that children are allowed to do whatever they want in a classroom. In fact, children are allowed freedom within limits to develop to their full potential, guided by Montessori-trained teachers, in a classroom that has specific Montessori materials and lessons in the areas of language arts, mathematics, practical life, and cultural subjects. 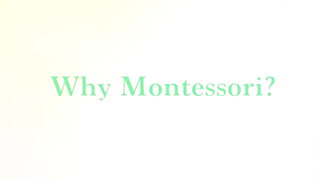 What Is Montessori And Why Choose Country Montessori School For My Family? The Montessori Method refers to a child-centered philosophy of education developed by the Italian anthropologist and physician, Dr. Maria Montessori. It is not affiliated with any religious or political organization. Country Montessori provides an authentic Montessori education based on Dr. Montessori’s principles and the standards set forth by the American Montessori Society. Encouraging a child’s innate desire to learn, providing a prepared child-friendly learning environment, and supporting children’s need to work at their own pace remain the foundation of the program. In addition, our children learn in mixed-age classrooms under the guidance of Montessori-credentialed teachers. Learning is emphasized through all five senses, not just through listening, watching, or reading. 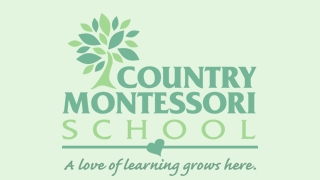 Country Montessori is dedicated to the emotional, academic, spiritual, social, and physical development of the child. What Is The Difference Between AMS (American Montessori Society) And AMI (Association Montessori Internationale) Schools? Dr. Maria Montessori and her son Mario established AMI in 1929. In AMI schools, Montessori philosophy and curriculum are implemented in a way that is consistent with the original approach of Maria Montessori. 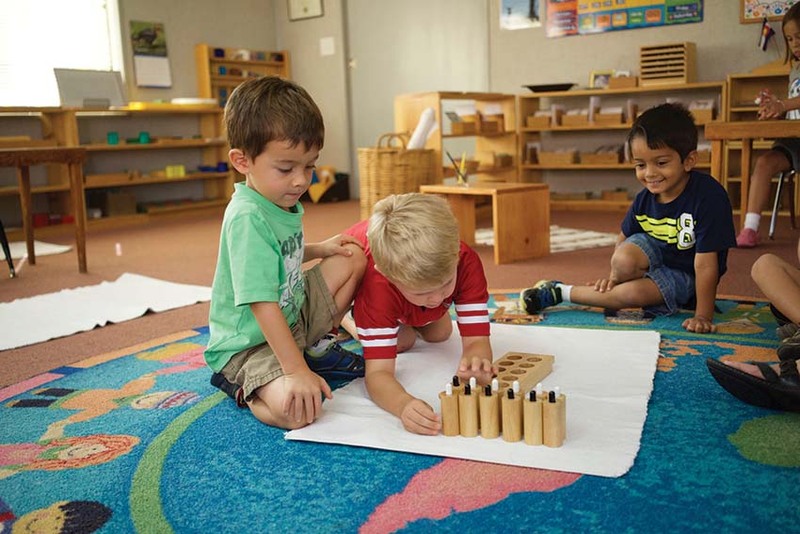 The Montessori materials are used precisely in the manner used by Dr. Montessori without deviation or extensions. In the late 1950’s Nancy McCormick Rambusch, a young teacher who had undergone AMI Montessori training in London, became inspired with the idea of reviving Montessori education in America. 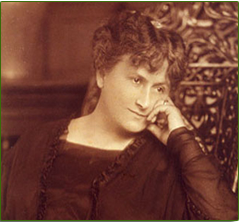 She soon founded and became headmistress of the Whitby School in Greenwich, Connecticut, which became the flagship school of the American Montessori revival. This led, in 1960, to the founding of the American Montessori Society (AMS), with Rambusch as its first president. She firmly believed that aspects of the Montessori method had to be modified to accommodate the culture in America. In AMS schools, teachers continue the methods developed by Dr. Montessori while bringing in outside resources, materials, and ideas to extend or supplement the Montessori curriculum. What Is Meant By “Spiritual” Development Of The Child? Inner peace and calm are essential to a child’s readiness to learn and their ability to concentrate. 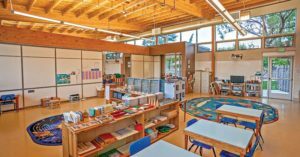 Country Montessori is a secular school and spiritual development of a child starts in the classroom where materials are carefully organized on shelves according to a curriculum sequence and with a Montessori-trained faculty. Grace and courtesy, essential elements of a Montessori classroom, are emphasized and modeled by the adults. Maria Montessori’s first classroom, opened in 1907, was named Casa dei Bambini, or Children’s House, because she believed the classroom belongs to the children where they work and learn in a secure, safe, and supportive environment. Why Aren’t There Grades In A Montessori School? Children in a Montessori environment work without competition and coercion. Each child works at his or her pace, enabling the child an opportunity to explore intellectual challenges for the sake of learning and accomplishment. 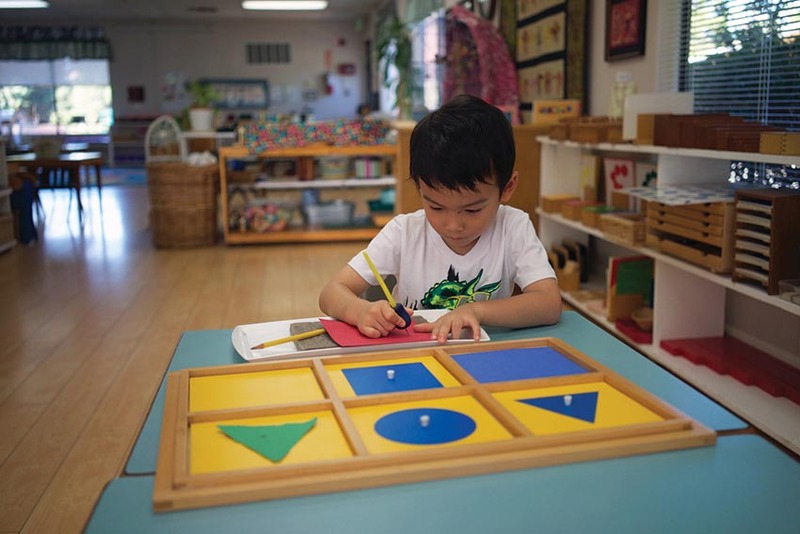 Assessment in Montessori is integrated into teaching and lesson planning through a variety of methods such as observation, recordkeeping of a child’s practice and mastery of lessons, portfolios, written reports, presentations, and dialogue. Standardized testing is administered once a year to students in 2nd level and above. Assessment is a crucial and everyday part of the Country Montessori approach. Teachers integrate assessment with their lesson planning allowing them to “follow the child” according to his or her progress. Why Are There Children Of Different Ages In The Same Montessori Classroom? Dr. Montessori observed that adult society is represented by multi-age beings and the benefits of peer observation and learning and collaboration could be successfully implemented in a classroom. Young children flourish more rapidly in classes that span two or three years. Multi-age grouping encourages older children to assist and mentor their younger classmates, while the younger ones look forward to moving on to the more challenging activities they see around them. Most importantly, the multi-age grouping allows children to master work at their own pace. Students move on to advanced topics as they are academically prepared for them, not simply when they reach a given age level.